Fujitsu divides their portfolio of notebooks into three distinct lines: All-round, Advanced, and Superior. 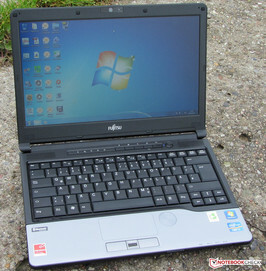 The Lifebook S792 is part of the "Advanced" line, while the predecessor Lifebook S761 was part of the "Superior" line. According to Fujitsu, the Advanced models are supposed to "enhance the efficiency and convenience of your day-to-day work". Let's find out if this notebook can live up to the manufacturer's claim. Please note: Fujitsu's model line-up in the US is different from the European one (the S792 was reviewed by our editorial staff in Germany). 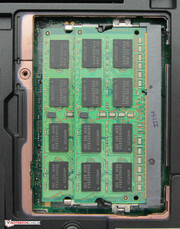 The successor to the S761 in the US is the S762 (a quad-core CPU for this model is not offered). The Lifebook S792 is powered by an Intel Core i7-3612QM quad-core processor and features 8 GB of RAM and a 256 GB Solid State Disk for programs and data. The system uses the processor-supplied integrated Intel HD Graphics 4000 GPU as its sole source of graphics power. Even though the notebook is rather small, it nonetheless comes with a DVD Optical Drive. For our review we will compare the Lifebook S792 to several of its competitors: HP Elitebook 8460p (Intel Core i7-2620M, AMD Radeon HD 6470M), Lenovo ThinkPad T430 (Intel Core i7-3520M, Nvidia NVS 5400M), and Dell Latitude E6430 (Intel Core i5-3320M, Intel HD Graphics 4000). The models in question all feature a 14-inch display, since there are currently no alternatives with the same-sized panel as the Fujitsu (one potential contender with a 13-inch display is the Dell Latitude E6330 - look for an upcoming review). The Lifebook S792: understated looks. The back of the lid is made from magnesium alloy. The underside features several maintenance covers. The shape and the lines of the S792 remind us of the predecessor Lifebook S761, although a few aspects have changed. The length and width of both notebooks are identical, but the Lifebook S792 is a bit thinner. 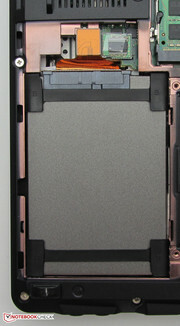 Both units use plastic extensively - only the cover on the back of the display lid is made from a magnesium alloy. The competition features more upscale materials: the chassis of the HP Elitebook 8460p and the Dell Latitude E6430 are entirely out of metal, while the chassis of the Lenovo ThinkPad T430 is a mixture of carbon fiber, fiberglass, and reinforced plastic. The base unit of the S792 is made from matte, black plastic. The palm rest is a matte silver-gray and features a textured surface, which resists finger prints extremely well. The quality of the plastic is appropriate for the notebook and doesn't appear cheap. The system is quite sturdy overall: the base unit is torsionally rigid and the palm rest resists applied pressure well. Just above the optical drive and the SmartCard reader we were able to detect a bit of flex - just like on the predecessor S761. The display lid could be a little more resilient: it doesn't resist twisting forces well and "gives" when pressure is applied. The hinges hold the display in any position and prevent any wobble. Unfortunately, the build quality leaves a bit to be desired - we consider it unworthy of a notebook costing 1500 Euros (~$1940). The magnesium back of the display lid is not secured properly and rattles a bit in the upper corners (almost like screws came loose). The Lifebook S761 had similar issues. Fujitsu modified the port selection on the new model only slightly. Compared to the Lifebook S761, we now find one USB 3.0/eSATA combination port instead of a USB 2.0 port and a DisplayPort instead of HDMI. Those intending to hook up their notebook to their flat screen at home just need a DisplayPort to HDMI adapter (about 5 - 10 Euros / less than $15). Our review model did not include an ExpressCard slot, although the Lifebook can be ordered with one in lieu of the SmartCard reader. As far as communication with the outside world is concerned, the S792 comes well equipped: Intel's Gigabit Ethernet chip (Intel 82579LM) provides wired connectivity, while WLAN (802.11a/b/g/n) is powered by the Intel Centrino Advanced-N 6205 module. Bluetooth 4.0 is also supported. The display bezel houses a Full HD webcam along with two microphones for video conferencing purposes. The size and low weight of the notebook hint at its purpose: a mobile companion for those on the road. To allow connectivity via mobile broadband, the S792 can be equipped with a Sierra Wireless LTE module (MC7710), which our review system comes with. Download speeds of up to 100 Mbit/s (upload 50 Mbit/s) are possible. The module also houses a GPS receiver. Alternatively, Fujitsu also offers a UMTS module (Sierra Gobi 3000) which supports download and upload speeds of up to 14.4 Mbit/s and 5.76 Mbit/s, respectively. The speeds mentioned above are of course subject to the capacity and utilization rate of the mobile provider. 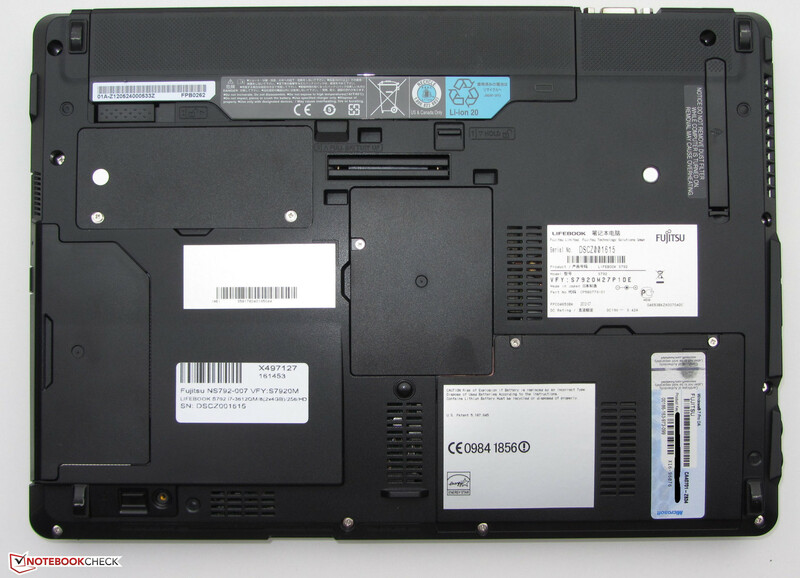 The mobile broadband modules are not standard equipment on all Lifebook S793 models. The selection of available modules also varies by region / country. 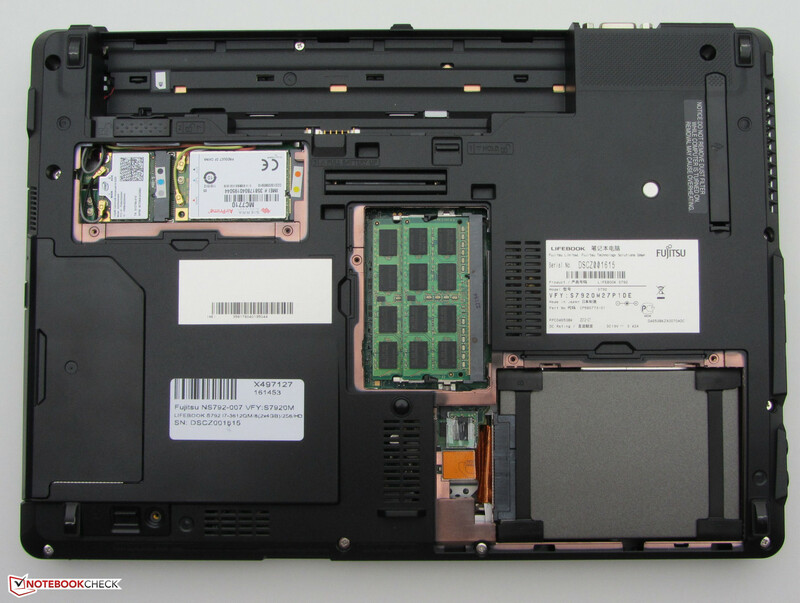 As one would expect from a business notebook, the Lifebook S792 offers a TPM 1.2 module and a fingerprint sensor, which allows access to the system and/or data (our model features both). 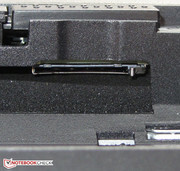 To physically secure the notebook, Fujitsu includes a Kensington Lock Slot. Our review system came with Windows 7 Professional (64-bit). 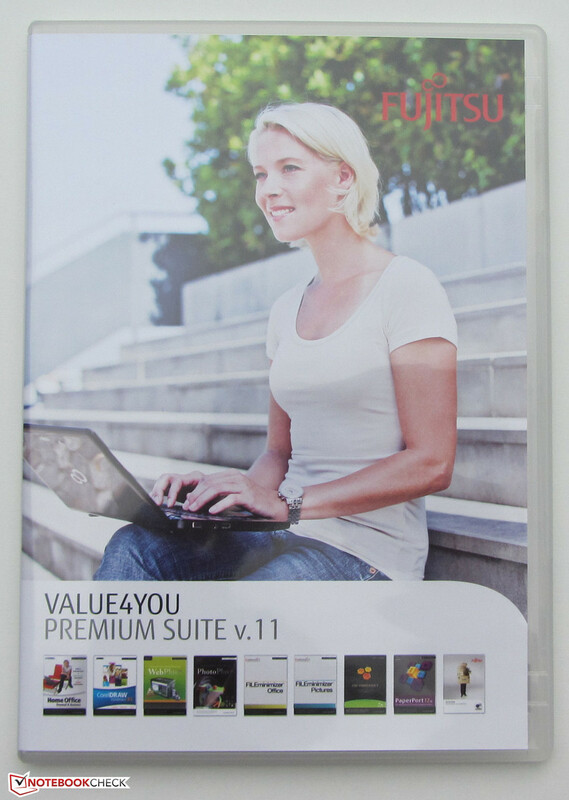 Some versions are shipped with Windows 7 Home Premium (64-bit). Since some businesses still rely on Windows XP, Fujitsu still supports the older OS and offers drivers for download on their website. 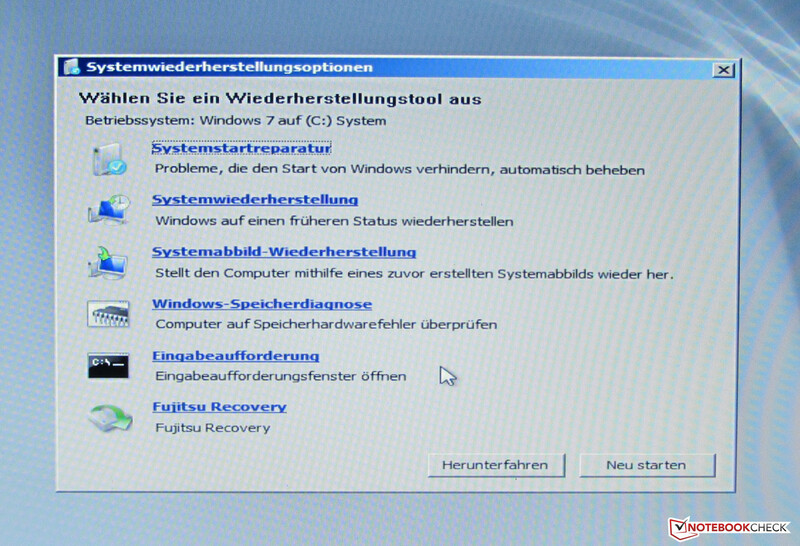 Fujitsu has integrated its System Recovery into the Windows Recovery Options of Windows 7. Should a System Recovery become necessary, the user has two options: either use the System Recovery DVD that ships with the system, or restore via the Recovery Partition. The latter process is really easy, as Fujitsu has added a menu item to the "Windows Recovery Options" of Windows 7. After pressing F8 during boot, the user needs to select "Advanced Options" in the menu and then "Repair Computer". Warning: the system will be reset to the factory image - all user data will be lost. 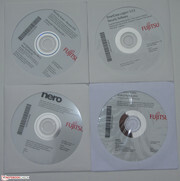 In addition to the usual quick-start guides and the warranty information, the box includes various media DVDs: aside from the aforementioned Windows 7 Recovery DVD, there is one with security software for the notebook, one for Nero Essentials, another one with handbooks and drivers, and finally a "Premium Suite" DVD. The latter includes programs such as Corel Home Office, Corel Draw Essential X5, and Nuance Paperport 12 SE. 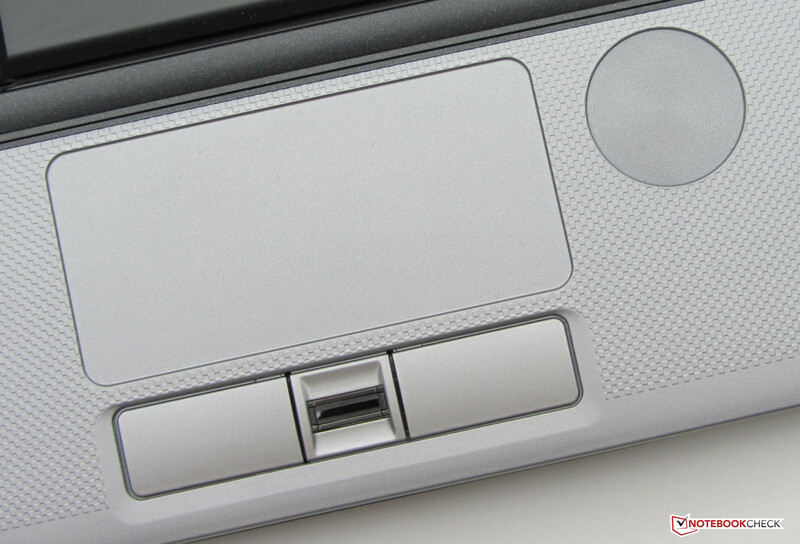 The Lifebook S792 features a docking port. The docking station (S26391-F655-L100) for the notebook adds the following ports: 4x USB 2.0, 1x DVI, 1x VGA, 1x parallel port, 1x serial port, 1x Gigbabit Ethernet, 1x Line-out and retails for about 80 to 120 Euros (~$105 to $155). Another way to expand the system is via the modular bay. Normally occupied by the DVD optical drive, it can also house an additional battery, a "Modular Bay Pico Projector", or a Blu-ray burner. 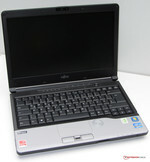 All accessories compatible with the predecessor Lifebook S761 should also work with the S792. Four covers on the bottom allow access to the following internal components: hard drive, RAM, WLAN, and the mobile broadband module. 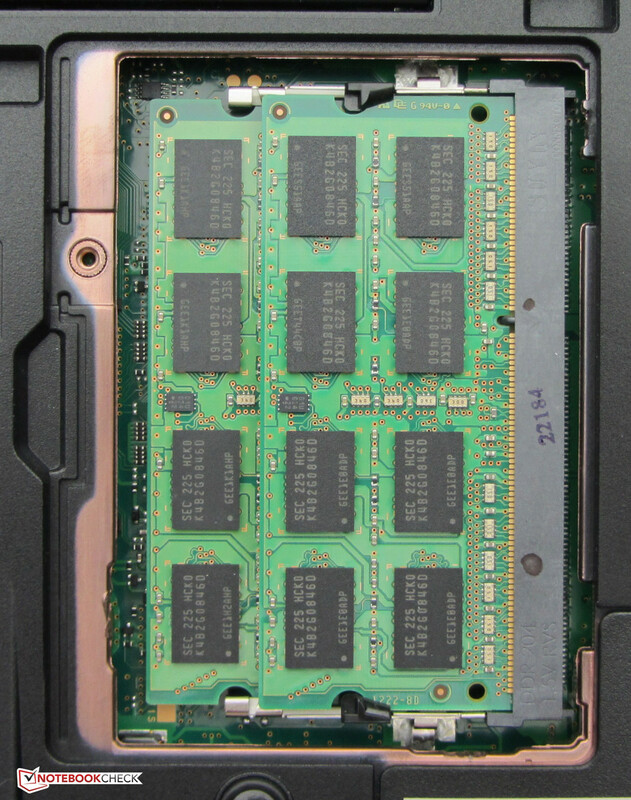 The notebook has two RAM slots and supports a maximum of 16 GB - our review model came with 2x 4 GB. A small maintenance hatch allows the user to clean out dust between the fan and the cooling fins of the heat sink. 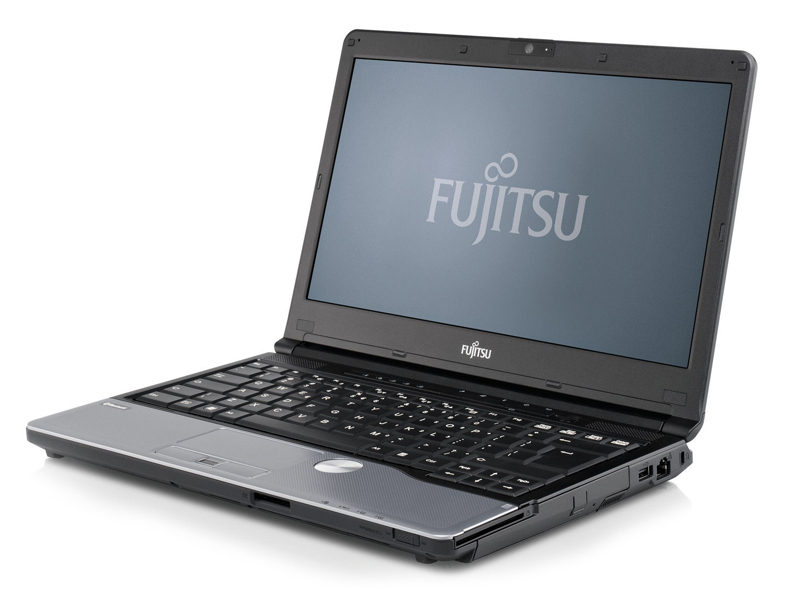 Our Lifebook S792 carries a 24-month depot warranty - the user is required to send the notebook directly to Fujitsu in case of an issue or a defect. Since this notebook is not exactly a bargain, potential buyers are going to be interested in protecting their investment for many years to come. To that effect, Fujitsu offers extended warranties - a 5-year depot warranty is about 50 to 60 Euros (~$65 to $80), a 5-year on-site plan is available for about 180 to 200 Euros (~$235 to $260). 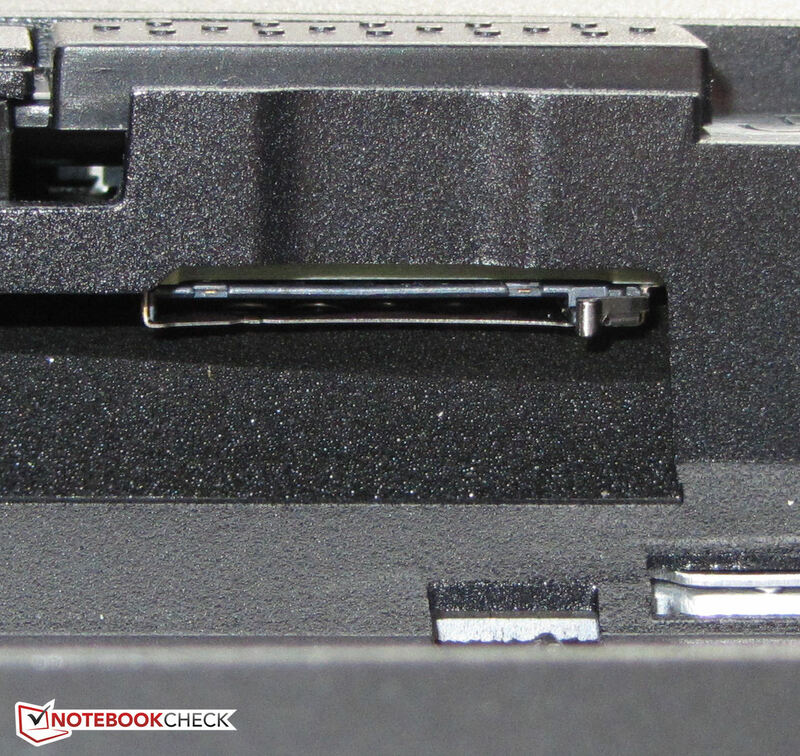 Please note that the warranty options for notebooks are different depending on the region / country - US models usually carry a 1-year standard international warranty. 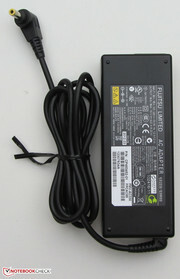 For details, please check out the Fujitsu onlineshop. The S792 features a standard keyboard with 19 mm x 19 mm keys (0.75 x 0.75 inches). The keys are beveled, so the actual surface on the top (where the fingertips come to rest) measures 14 mm x 14 mm (0.55 x 0.55 inches). Even though this is a 13.3-inch notebook, frequently used keys (arrow keys, Enter, Backspace, Shift) are all normal-sized. They keyboard is easy to type on: the keys feature a satisfying sense of travel and good feedback. The keyboard could be supported better, however: we noticed quite a bit of flex once we started to type. The keyboard seems a bit loose in the area above the optical drive. The touchpad (3.8 cm x 8.1 cm / 1.5 x 3.2 inches) is slightly recessed. Since the surface is very smooth, sliding the fingers across is easy. The touchpad supports multi-touch gestures, although this functionality is not enabled by default and needs to be activated. The mouse buttons feature short travel and a distinctive (and quite audible) click-point. An interesting feature is the second round touchpad next to the main touchpad, which simulates the scroll wheel of a regular mouse (presumably since the main touchpad is too small for an integrated scroll zone). Multitouch is disabled by default. The Lifebook features a non-glare 13.3-inch, backlit LED display with 1366x768 pixels resolution. No other panels are offered - not really surprising considering the screen size. Those needing a higher resolution should look at the 14-inch HP Elitebook 8460p, the Lenovo ThinkPad T430, or the Dell Latitude E6430 - all offer either a HD display (1366x768) or HD+ display (1600x900). As far as brightness is concerned, the Fujitsu has the competition beat by a fair margin: we measured an average brightness of 273.8 cd/m². 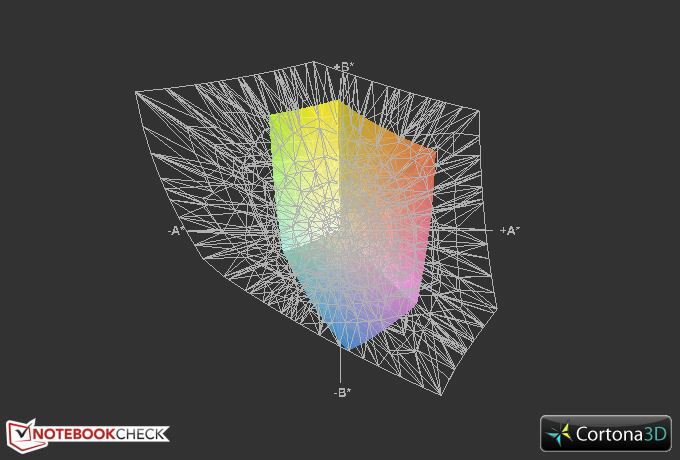 Both the black point value and the contrast leave something to be desired - we measured 1.88 cd/m² and 163:1, respectively. The result: a fairly washed-out picture. We know that Fujitsu is capable of delivering decent displays - one only needs to take a look at the (much less expensive) Lifebook E782. The competition - HP Elitebook 8460p (1.24 cd/m², 163:1), Lenovo ThinkPad T430 (1.47 cd/m², 178:1), Dell Latitude E6430 (1.49 cd/m², 138:1) - doesn't fare much better here. All four notebooks are less than impressive as far as their screens are concerned. We think that a notebook costing 1500 Euros (~$1940) and above should come with a much better display. 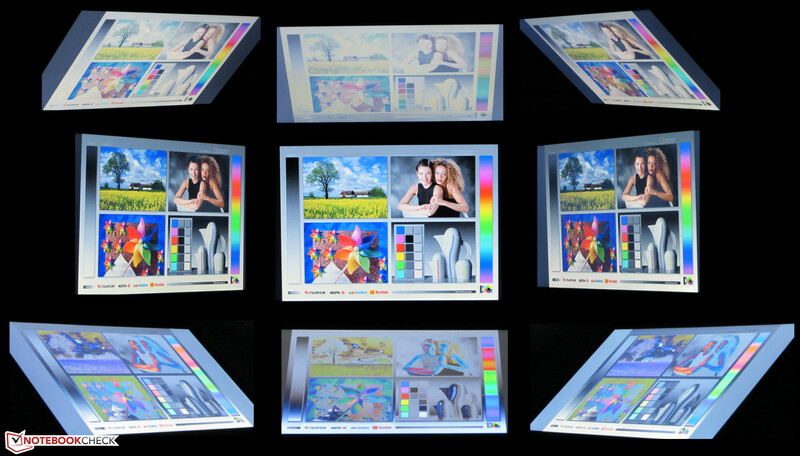 The panel that Fujitsu uses also doesn't even come to close to cover sRGB (and much less AdobeRGB). This is not really a problem since coverage of the color spaces is mostly important for professional photo or graphics editing. 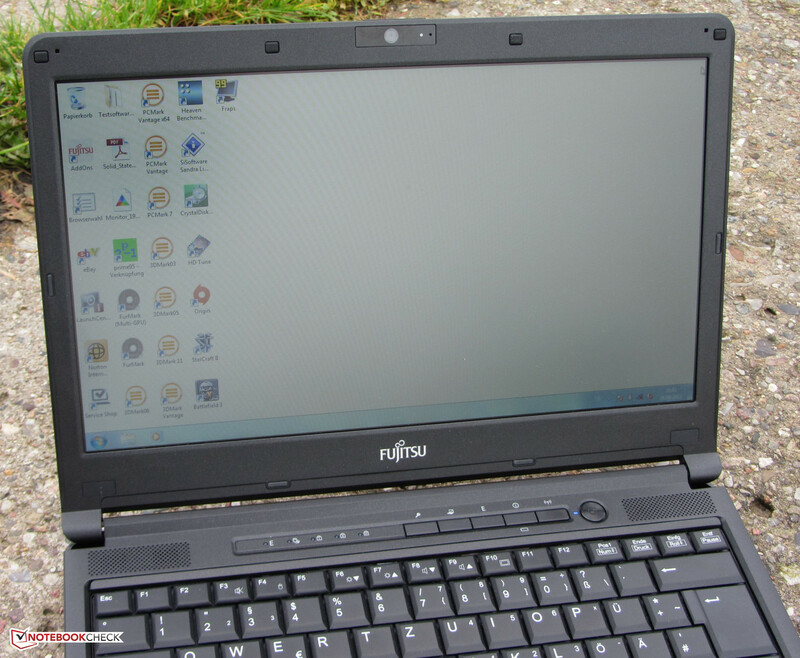 The matte display (and the maximum brightness it is capable of) makes the notebook suitable for outdoor use. A better contrast would improve the visibility of the screen though. Viewing angles fail to impress. Notebooks in the 300 to 400 Euros (~$390 to $520) price bracket manage to perform about the same as the S792. Deviating from 90 degrees in the vertical plane quickly results in an inverted picture. Horizontally, the picture quality remains stable much longer. The viewing angle stability of the HP Elitebook 8460p and the Lenovo ThinkPad T430 is par for the course; the Dell Latitude E6430 does a bit better. All four notebooks are equipped with TN panels. The Lifebook S792 is designed to be a mobile companion for business users. The notebook can be configured in many different ways - at least in Germany, Fujitsu lists nine different processors and seven different hard drives (from conventional drives to SSDs). At the time of our review, the least expensive model started at 1100 Euros (~$1440). Our review system is equipped with the Intel Core i7-3612QM quad-core processor. This CPU is part of the Ivy Bridge line-up and features a core frequency of 2.1 GHz. Turbo Boost can overclock all four cores to 2.8 GHz, 2 cores to 3.0 GHz, and a single core to 3.1 GHz. The TPD is 35 Watts - about 10 Watts lower than most of the other quad-core processors from Intel. Considering the size, a quad-core CPU is quite unusual and a differentiating factor. During our stress test (Prime95 and FurMark at the same time), Turbo Boost is active but the processor does not overclock to the maximum frequency. At the beginning of the test we measured 2.3 GHz to 2.4 GHz for all four cores. After about five minutes, we saw speeds between 2.1 GHz and 2.6 GHz with peaks of up to 2.8 GHz. The GPU is working at its maximum speed (1100 MHz) for the first few minutes and then starts dipping down to 650 MHz for several seconds at a time while still remaining at 1100 MHz for the rest of the time. While on battery, the CPU frequency fluctuates between 2.4 GHz and 2.6 GHz and the GPU between 850 MHz and 1050 MHz. We couldn't observe any throttling. The CPU is running at its top speed of 2.8 GHz during the Cinebench benchmark tests. The results are similar to those of other notebooks with the same Core i7-3210QM processor - like the Dell Inspiron 15R Special Edition, for example. 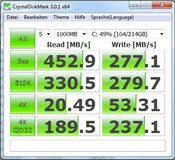 The notebook boots Windows 7 quickly and generally works without any lag, thanks to the speedy SSD. The results of the PCMark tests are in line with our expectations. The other notebooks we reviewed - the HP Elitebook 8460p (Intel Core i7-2620M, AMD Radeon HD 6470M), the Lenovo ThinkPad T430 (Intel Core i7-3520M, Nvidia NVS 5400M), and the Dell Latitude E6430 (Intel Core i5-3320M, Intel HD Graphics 4000) - can't compete here since they are equipped with conventional hard disk drives. In addition, the Lifebook is the only notebook in this comparison that is equipped with a quad-core processor, although the three competing systems can be ordered with quad-core CPUs and/or SSDs. 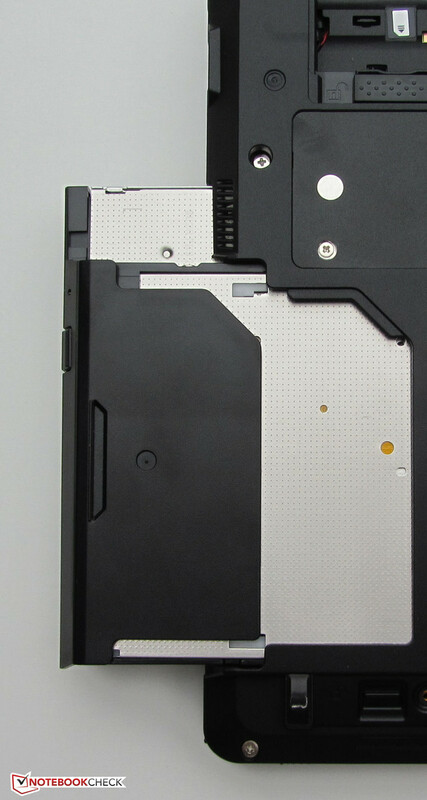 Our review model is equipped with a 256 GB Micron RealSSD C400 series Solid State Disk. The drive provides read/write speeds of 439.25 MB/s and 272.55 MB/s, respectively. Even though the notebook works without significant lag, other (higher priced) SSDs, like the Intel SSD 520, Samsung 830, or OCZ Vertex 4 provide much better transfer rates. The Vertex is actually up to 50 percent faster. The notebook uses the integrated Intel HD Graphics 4000. This DirectX 11 capable GPU is Intel's top of the line graphics offering. The GPU operates at speeds between 350 MHz and 1100 MHz. 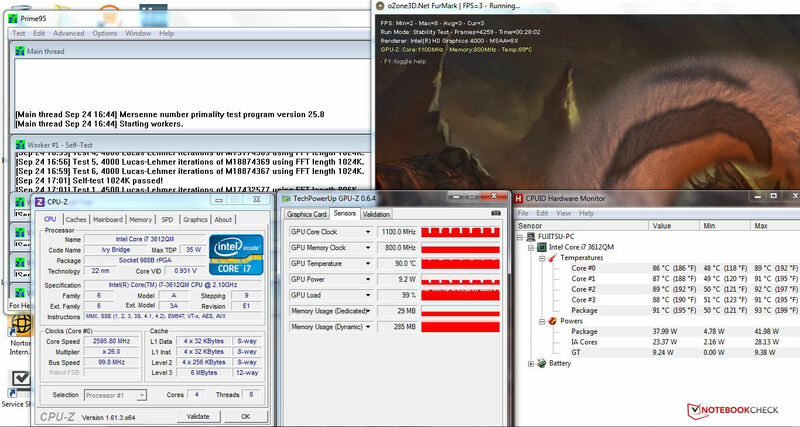 We observed clock speeds between 650 MHz and 1100 MHz during our stress test (Prime95 and FurMark running in parallel). Only during the first five minutes of the test we saw a constant clock speed of 1100 MHz. 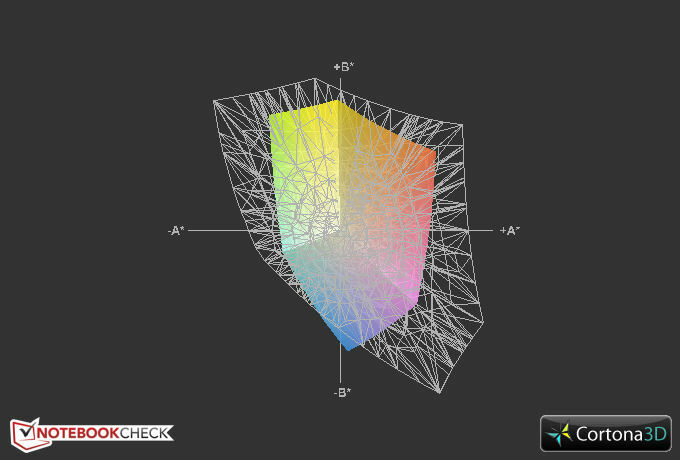 The results of the 3D Mark benchmark tests are in line with other notebooks equipped with the HD 4000 graphics. The reason for the decent performance: the GPU can work at full speed since the 3D Mark tests don't stress both CPU and GPU at the same time. Gaming performance is not exactly a priority for business notebooks. Though not its intention, the Lifebook S792 is capable of gaming as long as the settings are on low and the resolution is not too high. Higher resolutions and medium or high settings cause noticeable lag and stuttering. The notebook will suffice for the occasional game while commuting on a train. As long as the notebook is not operating under full load, it remains fairly quiet. During idle the noise level remains between 29.6 dB(A) and 35.5 dB(A). When the optical drive is used, noise increases to 37.5 dB(A). Under full load (Prime95 and FurMark running in parallel), we measured 44.2 dB(A) - quite a bit louder. Even under medium load, the system did not drop under 42.7 dB(A). The noise levels of the competition (HP Elitebook 8460p, Lenovo ThinkPad T430, and Dell Latitude E6430) are quite similar, although both the Latitude E6430 and the ThinkPad T430 are less noisy under moderate and high loads. 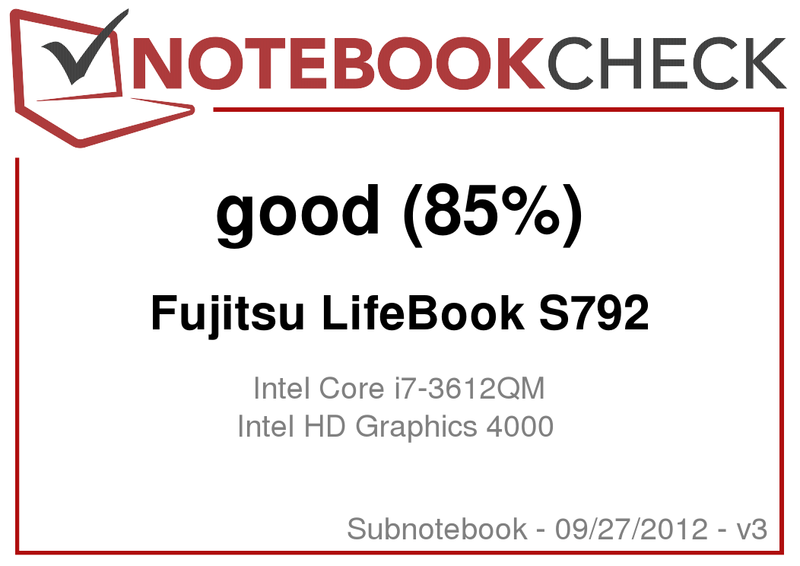 TheFujitsu Lifebook S792 during the stress test. Looking at the combination of a Core i7 quad-core processor and a rather small chassis one would expect the system to run fairly hot. Fortunately that's not the case. During idle, the top and the bottom of the notebook remained cool between 27 and 36 degrees Celsius (80.6 to 96.8 degrees Fahrenheit). Since the temperatures are well controlled, working with the notebook sitting on the lap is a non-issue. Under full load (Prime95 and FurMark), the temperature increases to between 28 and 43 degrees Celsius (82.46 and 109.4 degrees Fahrenheit). The palm rest remains under 30 degrees Celsius (86 degrees Fahrenheit). During our stress test (Prime95 and FurMark in parallel for at least one hour) the CPU operates between 2.1 GHz and 2.6 GHz. The GPU reaches 1100 MHz but drops to 650 MHz for a few seconds each time. While the notebook is running on battery, the CPU clock speed fluctuates between 2.4 GHz and 2.6 GHz and the GPU clock speed between 850 MHz and 1050 MHz. We recorded temperature levels between 86 to 91 degrees Celsius (186.8 to 195.8 Fahrenheit). 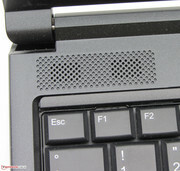 The stereo speakers are housed above the keyboard. The speakers sound tinny and emphasize the higher frequencies. Voices are easy to understand though. The overall sound quality is OK for a business notebook, although we would recommend using headphones or external speakers for watching movies. Kudos to Fujitsu: while the notebook is off, it only consumes about 0.01 Watts. None of the competing systems (HP Elitebook 8460p, Lenovo ThinkPad T430, and Dell Latitude E6430) come close. During idle, the S792 consumes about 9.2 to 12.6 Watts - still quite decent. Only the Dell Latitude E6430 posted lower values here. Under medium and full load levels, the quad-core processor makes its presence known: we measured 50.9 Watts under medium load (3D Mark 06); under full load (Prime95 and FurMark) the power consumption varies since the GPU and CPU don't work at the same constant speed. We measured between 54 and 74 Watts. 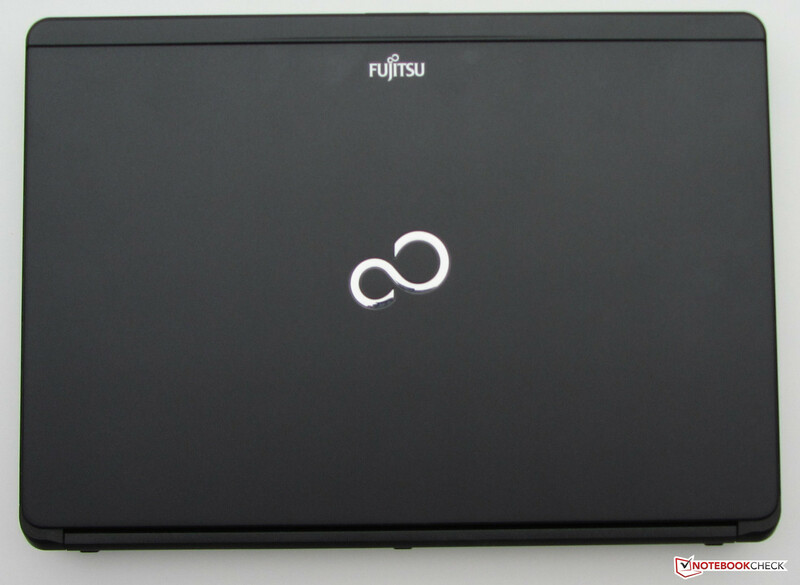 Fujitsu ships the small notebook with a high-capacity battery (72 Wh). As a result, the run times on battery are quite good. To determine the battery life under no-load conditions, we use the Battery Eater Reader’s Test, which simulates the reading of a text document. To conduct this test, we turn the display brightness all the way down, turn wireless (WLAN, Bluetooth, Mobile Broadband) off, and use the power -aver profile. The Lifebook S792 lasted 11 hours and 10 minutes - a time that neither the HP Elitebook 8460p (55 Wh), the Lenovo ThinkPad T430 (94 Wh), or the Dell Latitude E6430 (62 Wh) could match. To determine the minimum battery life, we run the Battery Eater Classic Test - we turn the display brightness up all the way, activate all wireless modules, and use the high performance profile. The S792 lasted for 1 hour and 17 minutes before we had to plug it back in. Both the ThinkPad T430 (2 hours 4 minutes) and the Dell Latitude E6430 (1 hour 42 minutes) lasted longer here. For our WLAN-Surf Test, we set the screen brightness to 150 cd/m², use the power-saver profile, and have an automated script visit a different website every 40 seconds. The S792 shut down after 5 hours and 49 minutes. The T430 lasted a bit longer (6 hours and 29 minutes), while the Elitebook 8460p and the Dell Latitude E6430 ran a bit shorter. During our DVD test (wireless off, power saver profile if the system runs smoothly, maximum display brightness) the Lifebook S792 lasted 5 hours and 29 minutes (8560p: 4 hours 18 minutes, T430: 4 hours 45 minutes, E6430: 4 hours 54 minutes). 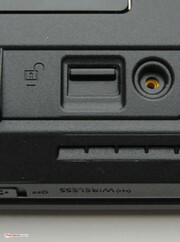 Fujitsu offers an additional battery for the modular bay - the optical drive needs to be removed though. 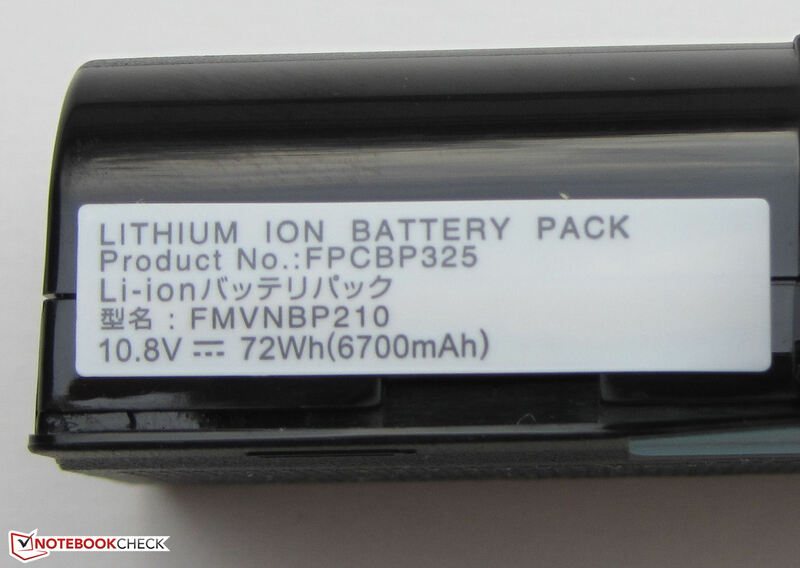 This battery has a capacity of 28 Wh and should, according to Fujitsu, increase the battery life by about 38 percent. Prices vary between 120 and 180 Euros (~$160 to $240). The Fujitsu Lifebook S792 is a thin and light, very mobile notebook for business travelers. The long battery life and the bright display allow the user to venture outside and away from any outlets. The already very decent run times can be increased via a modular bay battery. 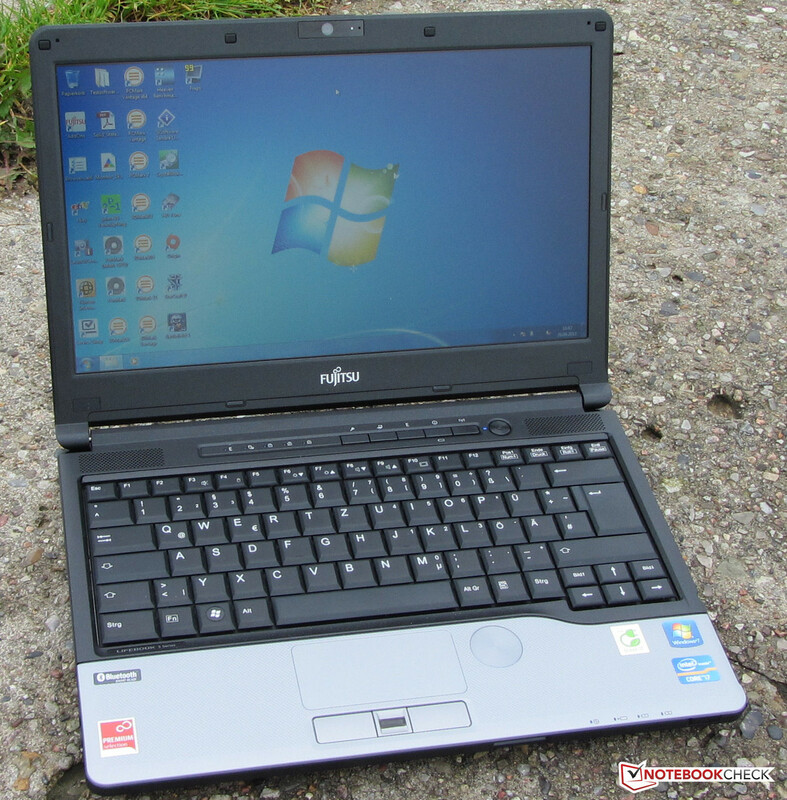 Unfortunately, a few things are amiss - Fujitsu could definitely improve the notebook and its chassis by outfitting it with a sturdier display lid. The display leaves us torn: on one hand, the brightness levels are more than adequate, on the other hand the contrast is just too low and the viewing angle stability not quite good enough. Faithful readers of our reviews will notice that we had some of the same complaints about the Lifebook S761. Users needing a slim, but high performance system with long battery life, plenty of expansion options and good support should definitely take a closer look at the Lifebook S792. Those requiring or wanting a higher display resolution won't be happy with the S792 and should probably look at the competition with 14-inch screens. The Dell Latitude E6430, featuring a HD+ Display (1600x900 pixels), a 256 GB SSD, 8 GB RAM, and the Intel Core i3-2350M processor can be purchased for about 1276 Euros (~$1675) on Dell's website. 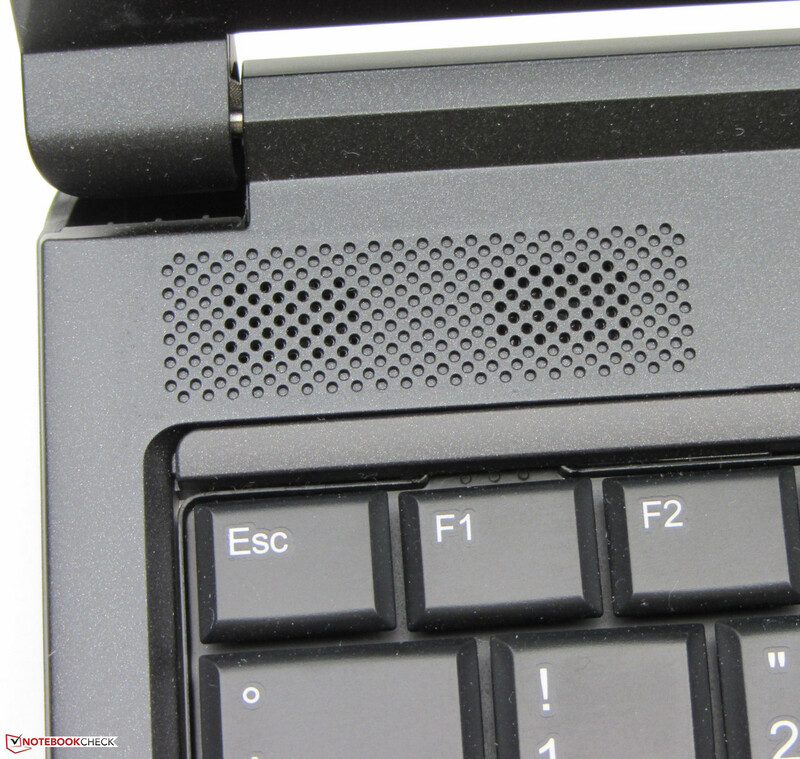 The speakers above the keyboard. The Premium Suite with additional applications. Nice: a Windows 7 Recovery DVD is included. The power adapter weighs 305 grams. ...and has a capacity of 72 Wh. ...and the Multibay device is ejected. The hard drive can be replaced. Four maintenance covers on the underside of the notebook. The optical drive handles all types of DVDs and CDs. 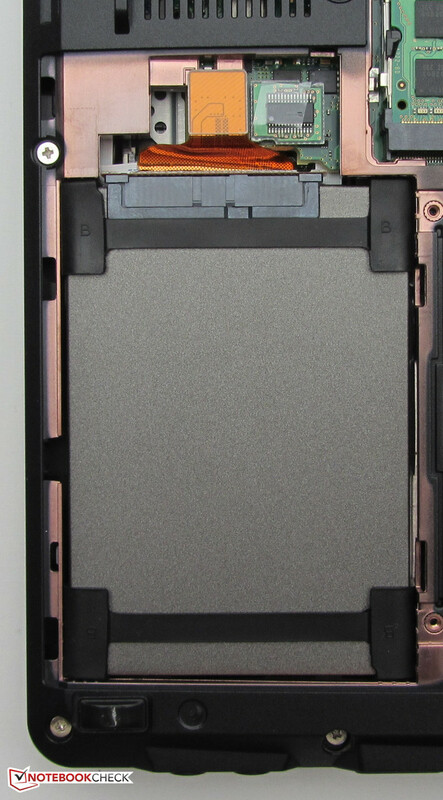 The slot for the SIM card is located behind the battery. The screen remains quite readable outdoors. Good support and easy expansion. 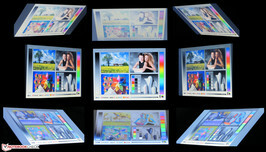 A display with better contrast. For the price, we would expect higher quality materials and a better build quality.